I have a desire to make all of my favorite childhood snacks at home. Many times I've attempted to make cheez-its and goldfish so I can refrain from buying them at the store. 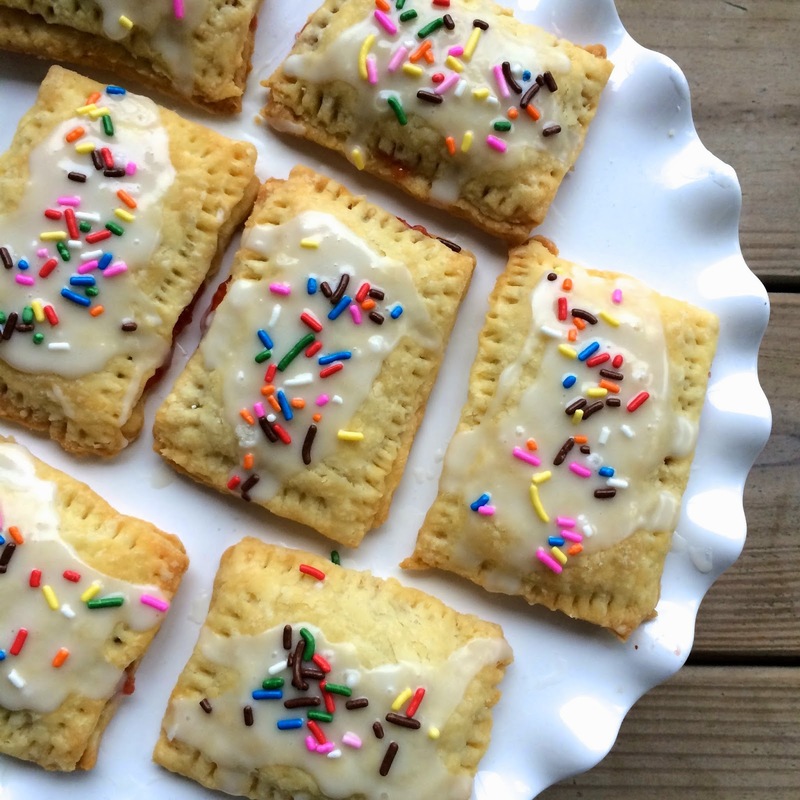 A couple of weeks ago, I focused my attention on pop tarts. I never buy them anymore due to the lack of craving I have for sugar in the morning, but because it was late afternoon, I decided to give it a go. 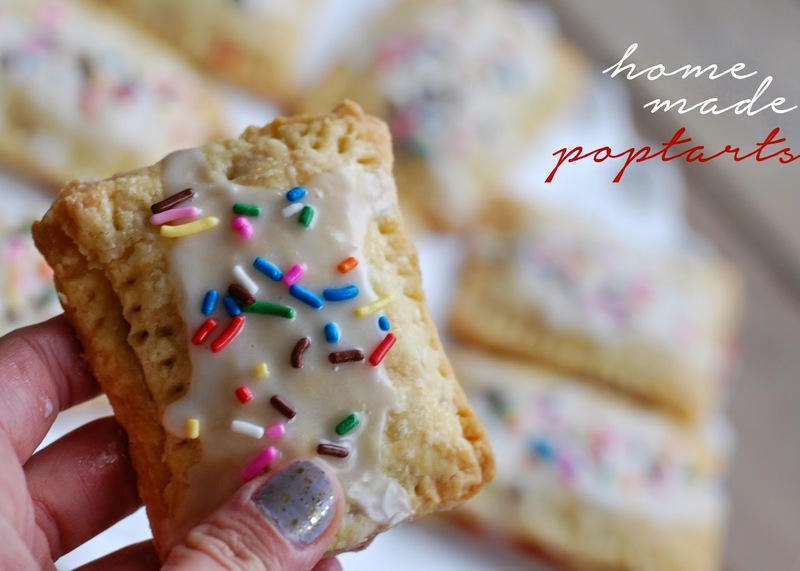 This recipe makes the perfect pop tart crust, and while they may be fluffier than the average pop tart, adds the extra substance that the franchise breakfast pastry lacks. I can't wait to recreate these for early brunches or even add some chocolate to make an indulgent dessert. be able to hold on it's own when squeezed. Combine both mixtures into a bowl. Stir and knead together until the mixture turns to dough. and added them to saucepan to heat thoroughly. Place a TBS on each square. Take the rest of the dough and cut into squares. and allows some of the icing to seep through when out of the oven. and added milk in increments until I got the consistency I wanted. vanilla to enhance the flavor. Then, use any kind of sprinkles you'd like!